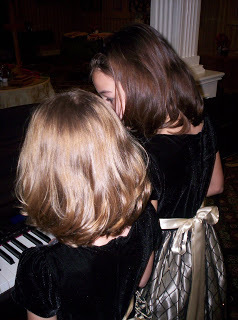 So, did someone ask to see pictures from last night’s piano recital? Oh, yes, you, back there in the corner. I always knew you were my favorite reader. Here’s the answer to your request. 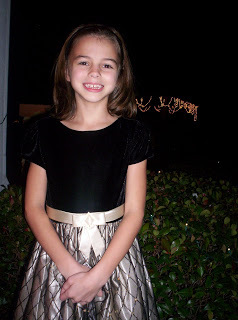 The Christmas recital was held at an assisted living facility that was beautifully decorated for the holidays. 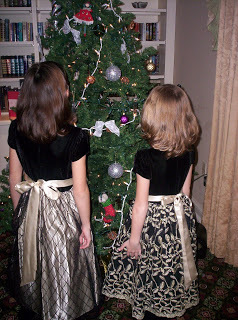 Thanks to my mom for the gorgeous dresses!! Another large dose of appreciation to the girls’ piano teacher who invests so much in them each week! They look just beautiful. I just know they did a wonderful job last night. 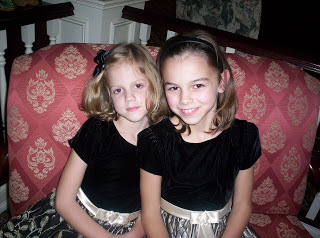 Beautiful girls and beautiful dresses! Thanks for sharing! !